The internet is awash with such a mountain of video downloader apps, that it can be overwhelming occasionally. There are so many different categories, for instance, mobile downloading app for iPhone iPad or Android, the desktop downloading software specifically designed for Mac OS or Windows OS. While it's challenging to figure out which is the most suitable one you should download as well. No Panic! Our list of the top 20 best video downloader apps, covering not merely the ones for your mobile phones and tablets, but the applications compatible with your computer OS as well, is shared to you. MacX Video Converter Pro is an award-winning video converter specifically designed for Mac. It keeps constant update to support even the latest OS El Capitan. This desktop app is a feather in its cap, letting you download video contents hosted on 300+ video portals, including YouTube, Metacafe, Vevo, Vimeo, Facebook. The lately infused HEVC/H.265 codec enables you to even download 4K UHD videos (2160p/4096p) on Mac as easy as possible. * * What's an icing on the cake is its solid video converting ability empowers you to download YouTube videos to MP3, MP4, MOV, AVI, WMV, etc and convert the downloaded online videos to iPhone 6S, iPad Pro, Samsung Galaxy S6, Windows 10-based Surface Pro 4, and more. * It's user interface is streamlined, minimal and drag-and-drop. * It makes utmost use of the configuration of your computer's hardware, speeding up the program 5 times faster. 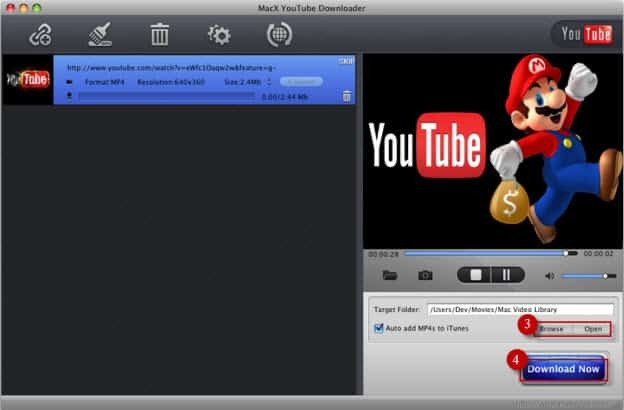 MacX YouTube Downloader is a highly-acclaimed yet 100% free and clean video downloader app for Mac that earns over 5 million downloads on Mac computers. It's a very easy to use Mac app to free download video from YouTube, Facebook, Dailymotion, etc, as many as 300+ online video sites are supported. The UI is fairly intuitive: you can handle your frequent actions like adding URL on the top toolbar and preview the content on the right. 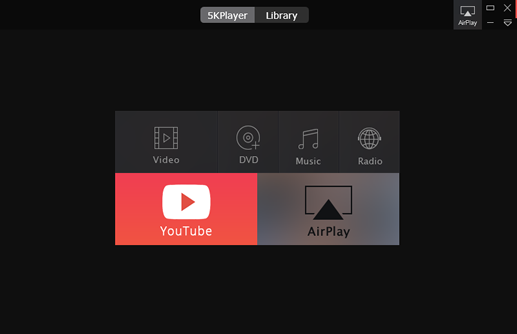 It is at your disposal to specify the output format, see MP4, FLV, WebM or 3GP, video resolution (4096p, 2160p, 1080p, 720p, or lower) for the output file, and have the MP4 videos automatically added to your iTunes library for later playback on iPhone iPad and more mobiles. It's able to run in the background, follow the download list and shut down of its own. Just like MacX YouTube Downloader, 4K Video Downloader is also a free lightweight downloader for Mac with no toolbars, adware or malware. Despite it doesn't support Mac's latest El Capitan and Yosemite, it performs well with other Mac OS and helps to download videos, audios and subtitles from YouTube, Vimeo, etc. 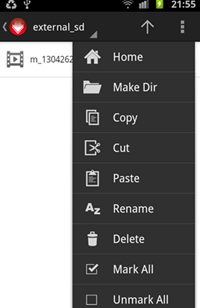 It outputs files in MP4, MKV, OGG, MP3, M4A. The video resolution is supported ranging from 720p to 4k UHD. So it is also the best 4K downloader app especially when you intend to download 4K video from YouTube. Working with Mac 10.5 or later, JDownloader is a app simplifying and improving the video downloading process from One-Click-Hosters like Rapidshare.com. It also works with almost every site, despite it does not ensure a 100% successful download rate. You can configure the JDownloader application to specify the file extensions. However, it looks like a windows app with the standard red-yellow-green buttons. In most cases, a JDownloader alternative is much needed to avoid numerous add-ons as they are plugged in this application while downloading. 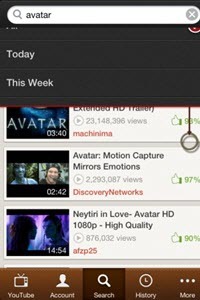 According to CNET, it is a speedy and easy-to-use app for video and movies downloading from YouTube. Without any instruction, you can complete the downloading quickly. More than just a YouTube downloader for Mac, the app allows you to download HD and HQ videos from numerous sites and convert them for iPad, iPod, iPhone, PSP, Windows Media, etc. You can keep track of downloads and conversions in real time through its Activity tab. 5KPlayer makes new breakthrough in online video downloading. It delivers a one-stop solution to download almost all media files, including movies, TV shows, music, funny videos, HD clips, and even the 4K/8K UHD video. It gives you full access to any online video sites, including YouTube, Facebook, Yahoo, DailyMotion, Vimeo, Vevo, Metacafe, etc. It also enables you to convert YouTube videos to MP3 in one click at ultrafast speed. WinX YouTube Downloader is a fast and free Windows-based app that supports multi-thread downloads and helps to download 720p SD video, 1080p HD and 2160 UHD videos from mainstream online video sites including YouTube. On top of that, it is devoid of any virus or spyware and performs 5-8 real-time download speed. Freemake is a simple-to-use tool that can download high-definition videos from video hosting sites such as YouTube in fast time. It supports a vast array of sites like Hulu, Vevo, MTV, Comedy Central, and over 40 others. You can even convert the downloaded videos into multiple formats, including AVI and MP3. Thanks to the nifty restrict bandwidth option, you can slow down the downloads in case your internet connection is slow. Despite Orbit Downloader is blamed for the junkware and adds for other programs you don't want, it is famous for accelerating the downloads by acting as peer-to-peer clients, utilizing bandwidth of other users. Orbit supports downloading videos from the web browsers like Internet Explorer, Mozilla Firefox and Opera. Free YouTube Downloader HD downloads any YouTube video of different quality levels, including HD videos and then converts it right away with an intuitive wizard. The application is exactly a YouTube downloader for PC. This application can even convert the downloaded YouTube video to a bundle of multimedia devices like iPad, iPod, PSP, 3GP mobile device, Android gadgets, etc. McTube is an all-around sleekly designed mobile video downloading app for iOS devices that offers a number of added features, including the cached downloads and streamlined log-in features for commenting, sharing, and interacting with videos on your iPhone iPad. This free iPhone app is fully integrated with web browser for saving videos offline. It is the automatic choice for iPhone iPad fans having a penchant for movies and videos watching on their devices. You can even bookmark the sites you prefer. 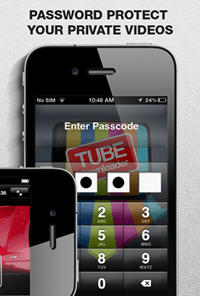 Tube Downloader Pro is a cracking application for video downloading with many options available for movie buffs. It is constantly updated to have more features, such as unlimited downloads on iPhone iPad, fully integrated with web browsers, supports up to 10 simultaneous downloads, and more. It can download videos larger than 20MB over 3G. Better still, it has the passcode protect option allows you to protect your private videos. iBolt Downloader has some awesome features such as FAQs about how to use this app, a dedicated tutorial, settings adjustment for customization, etc, making it one of the top 5 free iPhone video downloader applications right now. While the ads and pop-ups can be frustrating, the app works well in downloading videos on iPhone in quick speed yet with no issue in regard of playback. 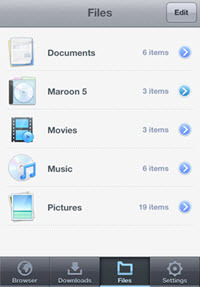 It is an ultra slick iOS app featuring the ability to download movies from internet on your iPhone iPad iPod. 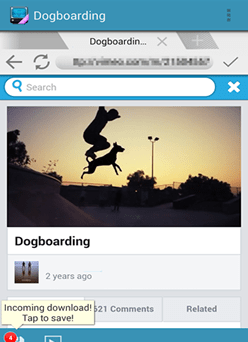 You can share the videos by any application via IM or social network. The process is pretty easy with MyVid for iPhone. Just copy the url and paste it onto your iPad. It also functions awesome with its password protection for your video. This Android downloader app receives many positive comments on Google Play store from users. This application makes downloading videos a breeze so you can easily watch them later offline. You just search for the video on your Android phone, play it and it will download. The built-in browser is quick and the url loads fast. FVD is a great Android downloader app that allows you to download lots of videos from an overwhelming of popular sites. However, due to the terms of service, this utility doesn't support downloading videos from YouTube, which is widely seen in the other android apps. It is fully compatible with the browser on your Samsung or HTC. As the name suggests, the application completes the video offline saving in a fast speed, 5X faster compared with the other apps. Its UI is simple and intuitive, boasting a lot of options like battery monitoring feature, pause and resume, parallel downloads, etc. It supports external browser. This app lets you download videos, photos, audios and other files from the media sites to your Android devices. It enables you to save your downloads in a password-protected folder where only you can access and play the downloaded file. Downloader & Private Browser app supports many file types, ranging from MP3, M4A, MP4, M4V, MOV, PDF, to TXT and more. Videoder is an awesome YouTube video and music downloader app for Android. It lets you download any shared video in just 2 steps so that you can watch videos without getting frustrated with network interruptions. You are allowed to download 1080p HD videos in MP4, FLV, WebM and 3GP. Notice: All these video downloader apps don't advocate any reproduce, distribute, transmit, broadcast or sell any content for any other purposes without prior written permission of YouTube or the respective licensors of the content. Please refer to YouTube terms of service before doing so.